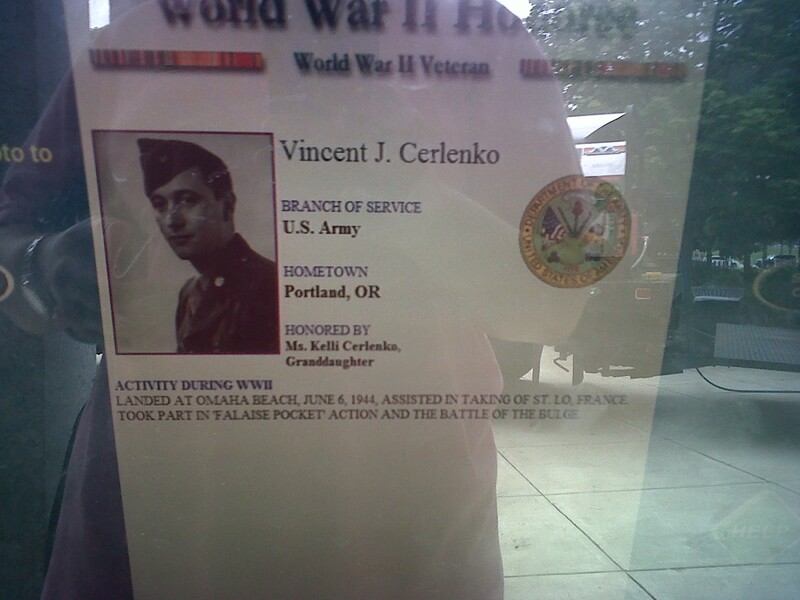 Vincent J. Cerlenko, landed at Omaha Beach June 6, 1944, assisted in taking of St. Lo, France, and took part n “Falaise Pocket Action and the Battle of the Bulge. 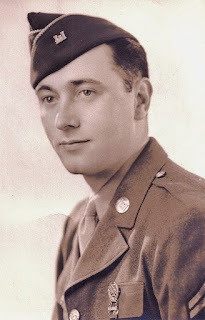 Vincent J. Cerlenko, Tech Sgt., 693rd "ADSEC" Heavy Equipment Engineers. After embarking from New York City the 693rd "ADSEC" Engineers, COM Z along with thousands of other support and combat contingents were shipped overseas to Great Britain. The company, part of the 1st Army, COM Z, was billeted primarily in south central England. There they prepared heavy equipment and logistical support for forwarding combat units in anticipation of the impending invasion of Europe. Before the actual invasion, this group was moved into southern England to board their invasion transports. They embarked with the invasion convoys out of Plymouth England on June 4th, 1944. D-ay, June 6th, 1944, the 693rd was part of the invasion armada, lying off the Normandy Coast and Omaha Beach. In the beginning, "Bloody Omaha" was almost a disaster, until the Combat Engineers removed massive machine gun emplacements covering the beach area, thus allowing the Infantry to advance inland. Platoons of the 693rd landed in the fifth wave, to begin the preparation for landing equipment and supplies. Fierce fighting was still underway while this action was taking place. Preparations for the "Mulberry" floating docks were also in full swing, within hours ships were unloading and a direct pipeline installed across the channel providing a unending supply of fuel and oil. The 693rd remained at the beachhead for several weeks assisting in the consolidation of a forward base for logistical support. All too soon they were ordered to help the Infantry in the taking of St. Lo France. St. Lo had been traded back and forth between the German's and the allied forces. Heavy carpet-bombing was called upon to neutralize the area. In doing so the inner city was entirely obliterated to the point that the armor could not move within the city limits. Engineers were ordered to make a path for the armor. 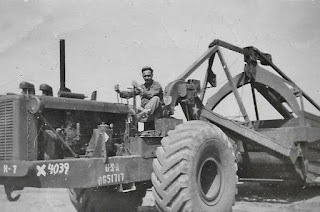 The 693rd entered the city, placing steel plates around the cabs of their D-9 Cats, on top they fixed machine guns or had "gunners" riding shot gun to protect the operators from sniper and other direct fire. When St. Lo was secured, the 693rd moved south through Vire and into Avranches where heavy fighting was still ongoing, then turning northwest towards the Port of Cherbourg arriving only hours before the final surrender of the port city. 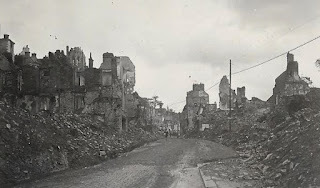 Cherbourg was utterly devastated as ordered by Hitler. The Germans had systematically destroyed every key port facility, including the sinking of every ship in port. Germans sappers (engineers) then "booby trapped" all operational equipment, destroying them and making all of it useless to the Allies. The reconstruction of Cherbourg Harbor was one of the miracles of the war. Along with other allied Engineer Units, the port was made operational in record time, a matter of days and remained open throughout the balance of the war as a major port of entry. The Germans were astounded! COM Z ETOUSA was organized after the redesignation of HQ ETOUSA and wore the second designed insignia of the command the services of supply, ETOUSA. It was established as an authority in Europe on May 24, 1942, with the mission of providing support for the U.S. Armed Forces in the United Kingdom' and of preparing a stockpile of supplies, equipment, transportation and weapons for the invasion of France. "Operation Bolero," was the code name applied to this project which amassed over 21/2 million tons of supplies in England (not counting load units) before "Operation Overlord." In addition to supplies, COM Z had operational control and responsibility for all of the technical and administrative branches and services in the United Kingdom and the theater of operations. On June 6th, 1944 (D-Day) over 381,500 personnel were assigned to COM Z with the mission of supporting the allied operations. Artificial harbors were constructed in absolute secrecy and transported to the continent to provide ports to off-load the massive quantities of material needed by the combat troops. COM Z operations were so broad and complex in scope that 20 special staff sections and 11 base sections were required in the command structure. The Advanced Section of COM Z was organized to provide close support to the field armies, and elements of this section landed with the First Army on D-Day and continued to give support for the First and Third Armies after the Normandy Breakout. Engineer Battalions landed on the beaches on D-Day to make obstacles and then assist as fighting Infantry. Personnel from each of the support branches were assigned to the Advanced Section, the bravery and contribution that these men made to the success of the allied mission was extraordinary. The multitude of tasks performed by COM Z personnel in support of combat operations is truly staggering! Over 60 different types of Engineering units constructed and operated ports, railways, pipelines, roads, airfields and even lumber yards. Special Engineer units built 62 bridges of all kinds across the Rhine River alone, and many of these structures have been constructed under direct enemy fire. During the Battle of the Bulge, an ordnance supply base was in the path of the German 6th SS Panzer Army advance, outfitted a tank battalion, evacuated 7,000 tons of vital supplies and then joined forces with other units to bold this critical sector of front for 36 hours until relieved by other combat elements. (See Army Times Action Report). The unit moved east this time catching up with the First Army's progressive elements just in time for the "Falaize Pocket" action. Immediately, they were attached to General Patton's Third Army as they swept around the German 15th Army in attempts to entrap it. Though some of the foot troops managed to sneak out of the pocket, none of the heavy equipment of the German Army managed to break out. The 15th Army ceased to exist as an operational unit. While chasing the withdrawing Germans, Patton's armor ran out of gasoline. The Third Army not only ran off the map, but it was at a virtual standstill. Before the German's could react all available personnel were ordered into action. Consequently, the 693rd had just arrived at a rear area to be rested and refitted when the "Red Ball Express" began its drive across France to bring fuel to the tanks of the Third Army. During the next month the 693rd supported the Red Ball Express in a variety of ways. 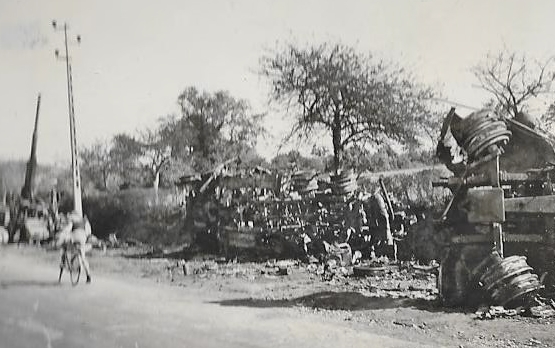 Many of the unit's personnel volunteered to drive supply vehicles behind and through enemy held territory. The German's were in a major state of confusion due to their withdrawal. On S0111G occasions, German units attempted to surrender to units of the Red Ball detachments, only to be ignored and left in the dust by the roadside. Patton's tanks were the priority, no stopping for prisoners. Seeing groups of Germans with arms stacked and hands above their heads was a bit unnerving. No fired a shot, they just kept moving. On to Paris! Though the 693rd did not participate in the victory parade as shown in the newsreels, they did spend some time enjoying the sites, but only briefly. Up to the front again with the lead elements with their old friends the First Army. Marching east they took time to look over the Battlefield at Chateau Thierry, a then moved on to Reims France. My father related this story too me; The engineer’s welded two inch steel plates with small viewing slots around their D-9 cabs to afford a bit of protection from small arms fire. 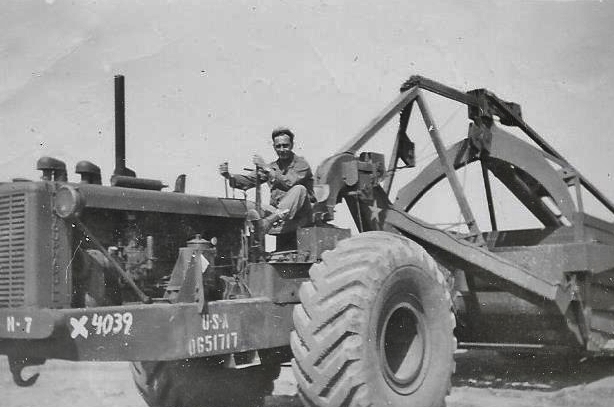 In some cases they would extend the top of the Dozer blade to ward off anti tank rounds and if one should penetrate hopefully hit the large diesel engine in front of the driver rather than the cab. At times if available they would mount a 30 or 50 Cal machine gun to the roof. They would cut a hole in the roof so a gunner could sit behind the shoulders of the driver to give offensive covering fire as they worked. The curve in the blade would usually make a larger round careen off into the air rather than penetrate, it worked sometimes well. When it didn’t it was called a “Bad Day”. They developed this technique while clearing the streets in St. Lo France where nothing was left standing. It was recorded the effects were “quite spectacular and satisfying.” The Bull dozers would clear a path right up to the building where the fire was coming from and the 75mm anti-tank gun. The gun would be placed just inside a window and it would find a target and fire from that position. The results were most devastating. The Cats would go at it with a vengeance and cover up the gun while it was still firing enough to block its view. Once that was done they would satchel charge it or burn them out and then move to the next hot spot. Aachen was destroyed but taken the only thing standing was the medieval church which still stands today. The Germans who later surrendered said, “Using the 155 mm and dozers was barbarous and should be outlawed”. The business of war continued. 3,473 German survivors surrendered, 5,000 casualties and 5,600 POW’s in total were taken. The US Army sustained 5,000 casualties. The 693rd Engineers participated in the battle of the Hurtegen Forest east of Aachen for several weeks primarily clearing and building roads for equipment to move up onto the front line in the hills. The weather was wet, foggy, muddy and just plain lousy. The unit did not participate in the front line fighting it was strictly infantry based and a close in affair. Eventually, they were pulled back for a refit, repair and some rest around Aachen. The new offensive was now well underway elements of the 693rd were attached to the spearhead that attacked into Belgium and Luxembourg. Driving north into the Ardennes and crossing into Germany west of the Rhine. The action took them through St. Vith, Malmedy and to Aachen. Aachen on the Rhine became a forward supply base just north of a small insignificant village known as Bastogne! It was December, wet and freezing cold. It was rumored that the war would be over before spring, maybe by Christmas? However, the German's had other ideas on the subject. A massive offensive erupted across the Rhine through the Ardennes forest pushing fifty miles into the allied lines creating a "Bulge". The Battle of the Bulge was on! 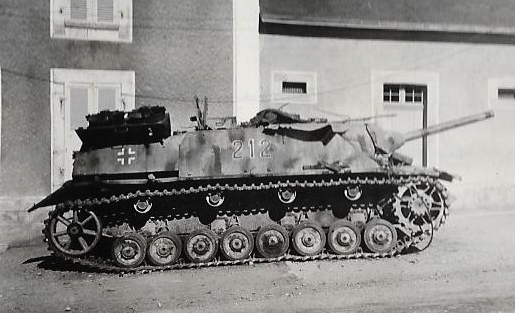 The German SS panzer spearhead skirted south of Aachen towards Liege isolating the troops outside Aachen. Several crucial actions holding the perimeter took place. 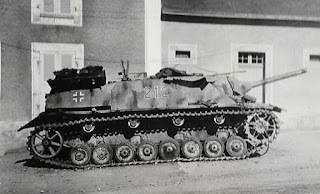 Non-combat support troops were thrown into the line as a stopgap measure against the German 6th SS Panzer Army. Orders from Tactical Command were given to hold the sector and its vital supplies at all costs. Operating in conjunction with Combat Infantry Teams they held their sectors until relieved. This action caused the beginning of a massive retreat of the German units. 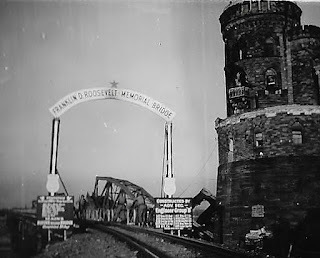 Soon after the 693rd moved into Bonn Germany and built a bridge spanning the Rhine. They moved on to Cologne and Coblenz to build more bridges. Crossing the Rhine they moved south into Wiesbaden to help build one of the longest spans erected across the Rhine River over to Mainz Germany. This bridge was the first operational rail link to be completed into Germany. The 693rd finished their active participation in the war in Frankfurt, Germany, acting as part of the temporary occupational forces, until the full time occupational units arrived. Much of their time was spent building public works to assist the homeless civilian population in Frankfurt. The unit was then transported back into France at Reims for disbanding. Half of the unit was convoyed south through Dijon and Lyon passing through the Rhone River valley into the south of France and the city of Marseilles. There they were encamped pending final embarkation back to the Sates. The shoulder patch worn by the COM Z personnel assigned to the European Theater of Operations was based on design changes of the Headquarters, ETOUSA insignia that was approved on February 25th, 1944 and redesignated for the COM Z on March 21, 1944. The shoulder patch has the same meaning as the Service and Supply (Army Service Forces)) and HQ European Theater of Operations patch, as it combined both designs. The patch with black and gold letters above "ADSEC" designates those support units in close support of combat units at the front. The COM Z was discontinued as a separate command on February 28, 1946. The 693rd "ADSEC" Heavy Equipment Engineers, COM Z ETOUSA was formally disbanded as an operating unit in November of 1945, completing their tour with four Combat Battle Stars after liberating six European countries and crossing the Rhine into Germany. 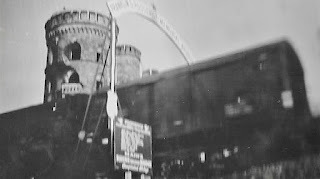 Personnel were shipped out of the Port of Marseilles via troop transport direct to New York City and home. 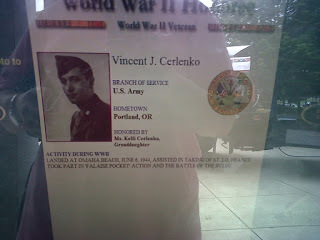 Compiled, researched, and photos by Greg V. Cerlenko, Son of Vincent J. Cerlenko. I met Greg not long after posting November 11, 2015 Veterans Day blog entitled "Mine Eyes Have Seen the Glory." He noticed a picture in the post of the railroad bridge at Mainz that was similar to his picture below and decided to send me an email. Here's a short correspondence from Greg V. Cerlenko, USNI, OMSA. Wow, thank you so much. Looking at the maps you're dad and mine crossed paths on several occasions, but looks as if he stayed there longer than my dad did and went further into Germany as part of the occupation forces. My dad stopped in Frankfurt and never went any further into Germany (officially that is). I will be sending to you my Dad's write up which is still in progress. What you gave me did shed some light on some of his activities and it is deeply appreciated. 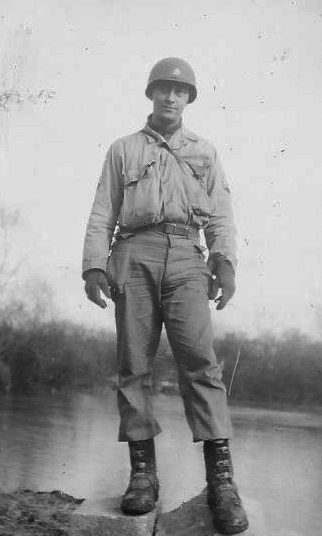 When I asked him if he'd ever wanted to go back to see Europe again he told me that "he crawled on his belly from Omaha Beach all the way into Germany and once was enough for him". He never went back and died at age 50 in 1964 far too young. When he passed so did the library and it was lost to me. 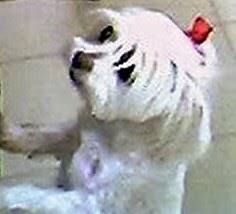 I hope we can stay in touch well into the future and thank you again for sharing. Thank you Greg and Kris for sharing your story! 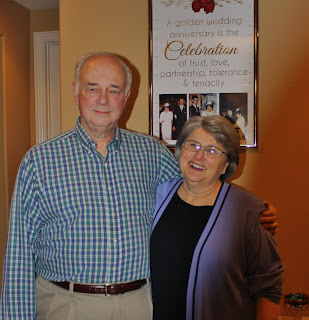 We salute your father, Vincent Cerlenko, a comrade in arms as well as building bridges.